“I lost my voice” “I have a lump in my throat that’s always there.” “ I cough when I drink fluids” “My voice is weak / I cannot project my voice” “I get tired when I use my voice a lot or in background noise” “My voice is making it hard for me to work” “I am constantly clearing my throat” If this is you, then you may be suffering from a voice disorder. SVAS is a provider of specialist ENT and Speech Pathology services in Sydney which diagnoses and treats a broad range of common voice disorders. Hoarseness or rough voice – This indicates a problem with vocal fold vibration. 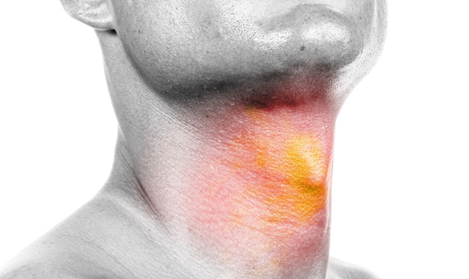 It is usually caused by incomplete vocal fold closure or altered pliabilty of the vocal fold lining. Strangled voice or breathy voice – Some people have difficulty getting certain sounds out and cut words off whilst speaking. This is usually due to inappropriate action of the vocal fold muscles and can be associated with some neurological conditions. Loss of range, loss of upper register – A decreased ability to raise the pitch of the voice can cause difficulties, especially amongst professional voice users. It often indicates a problem with the muscles which tension the vocal folds. Through quality training of our staff at an international level SVAS is able to provide the highest quality of care for patients with voice disorders both in Sydney and Australia wide. Contact us now and our friendly and professional staff will assist you.